Group of researchers at Kaunas University of Technology, Lithuania are developing new generation sponge-like wound dressings with hyaluronic acid. Antimicrobial, antioxidant, anti-inflammatory wound dressings stimulate tissue regeneration and can be especially efficient in treating deep wounds that are difficult to heal. According to data, of the total healthcare expenditure in the European Union, wound management makes up 2-4%. A single chronic wound can cost up to 10 thousand EUR to treat, and it is estimated that up to 1.5% of EU population has one or more of such wounds. For deep wound to heal successfully, tissue regeneration is extremely important. Development of new generation wound dressings, which assist this process, is one of biggest challenges in tissue engineering. Kaunas University of Technology (KTU) researchers are developing sponge-like wound dressings based on hyaluronic acid, which is a well-researched polymer stimulating tissue regeneration and used in ophthalmology, bone regeneration and for other medical and cosmetic purposes. "Hyaluronic acid is a natural polymer found in living organisms, which has anti-inflammatory properties and stimulates tissue regeneration. We are used to commercial hyaluronic acid based products, which usually are thick liquids or gels. Although quickly absorbed by the organism, in this form the polymer doesn't have the structure needed for tissue building", says Odeta Baniukaitiene, researcher at KTU Faculty of Chemical Technology. Sponge-like wound dressings created at KTU have net structure, which is essential in developing wound dressings for tissue regeneration. 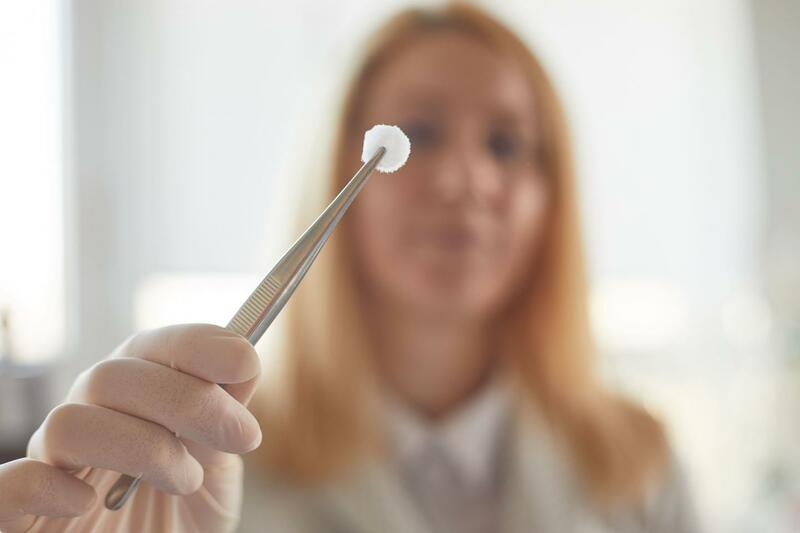 Although biopolymers are often chosen for this purpose as they are compatible with biological systems, sponge-like wound dressings are mostly being made from alginate or collagen. "We use freeze-drying technique to render hyaluronic acid sponge-like structure. The dressing fills in the wound, and is serving as a structure for cells to stick on; the active compounds, which have antimicrobial, antioxidant, anti-inflammatory or tissue regeneration stimulating qualities are in such a way fixed and carried through", says Baniukaitiene. At the moment, KTU researchers have built hyaluronic acid scaffolds, which can be used for tissue regeneration. Collaborating with the Lithuanian University of Health Sciences, the scientists are testing the prototype in vitro with different cells. According to researchers, the proof of concept stage research can take up a few more years.